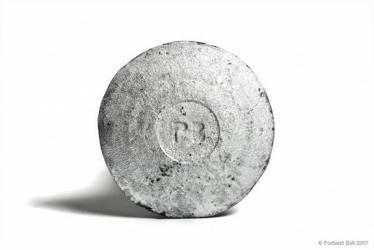 A timber spike is designed to pin two or more wooden members together. The semi-cone pointed fetter drive threads speed up installation because they can be driven into the wood like a nail. 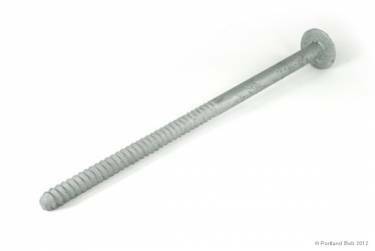 The oversized, low profile head will provide a large bearing surface, thus preventing the bolt from pulling into the wood. 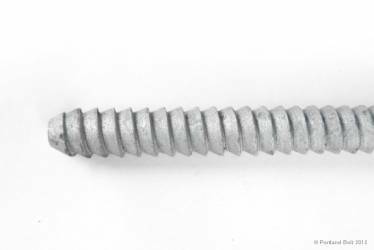 A timber bolt, which is the same bolt only with national coarse thread, is also available. 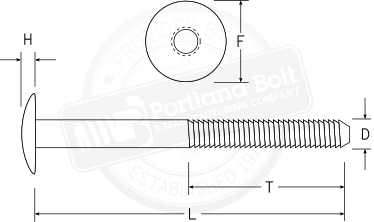 Portland Bolt manufactures timber spikes from 1/2″ diameter through 1-1/2″ diameter in most ASTM, AASHTO, and SAE specifications. Special request for heading, thread type and finishes can be accommodated. The minimum thread length shall be equal to half the nominal spike length plus 1/2″.